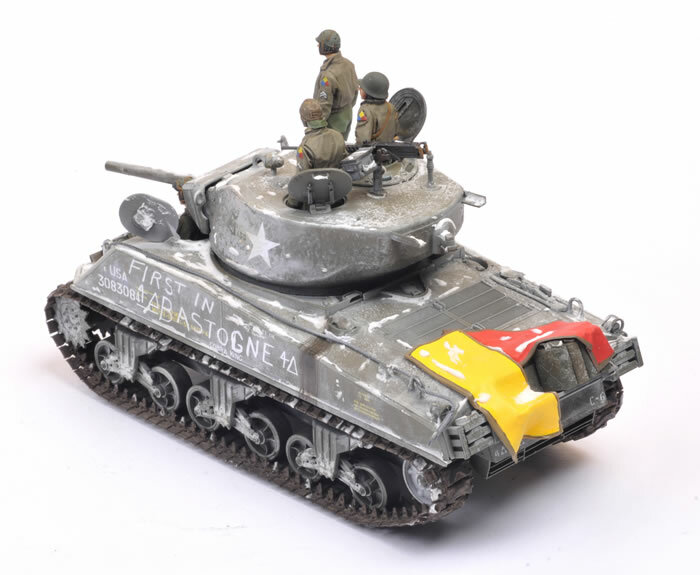 Here is my Tasca's 1/35 scale M4A3E2 Sherman Jumbo finished as Cobra King, the famous first Sherman relieving Bastogne during the Battle of the Bulge. 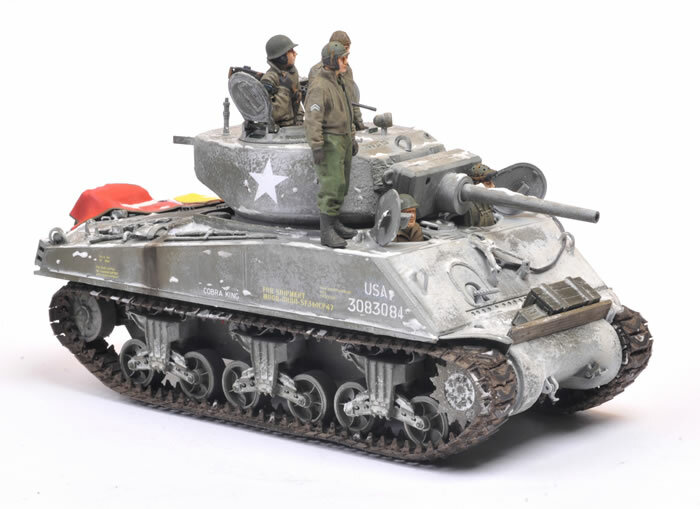 The model is built mostly out of the box with the exception of the Air Identification Panels on the back and the stowage and timber plank on the front. I added extra cast texture and casting numbers too. Markings are from Archer's excellent dry transfer set. This is not winter camouflage - it is supposed to be a combination of snow and ice. I based the finish on what I could see in a contemporary photograph. To achieve this I used a combination of airbrushing, hairspray technique and a mix of Micro Balloons and White Glue for the structural snow. This model and all the technques will be described in detail in Issue 112 of Model Military International magazine. 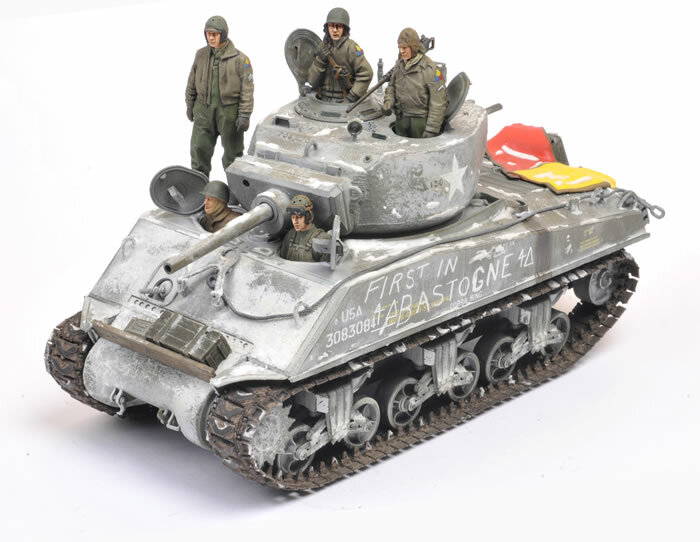 The crew comprises two figures from Alpine, one old Yanks (the Commander), one Warriors (radio operator) and the driver with a Warriors upper body and a Hornet head. 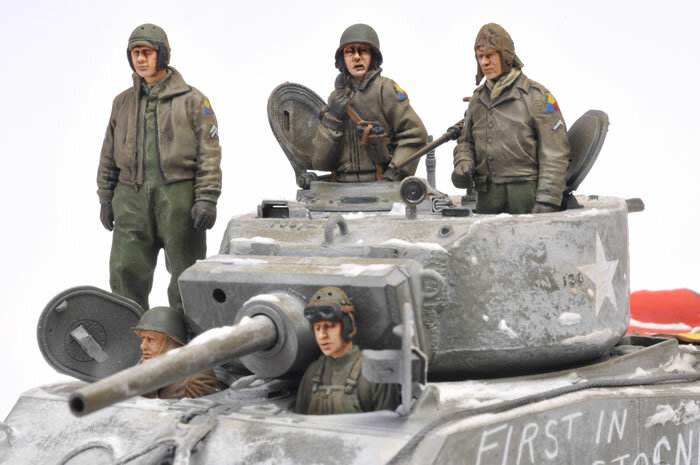 This project will be described in detail in Issue 112 of Model Military International magazine.